Do you remember your last trip to the great Southwest desert? The weather, the land formations, and of course the beautiful jewelry? 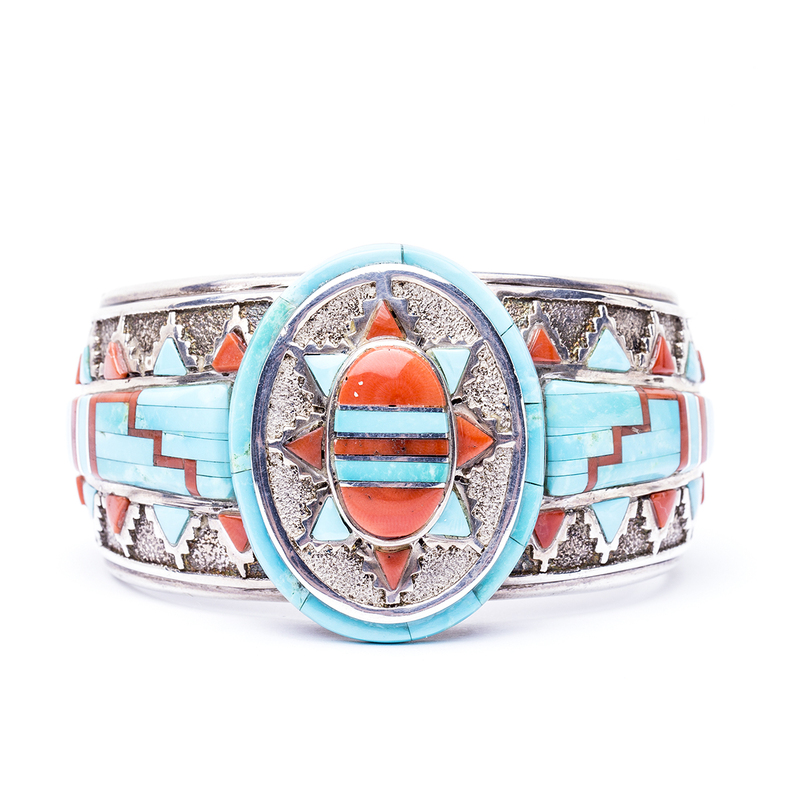 This bracelet depicts all those experiences ranging from the warm colors to the geometric mountain designs and an incredible portrayal of the beaming sun. 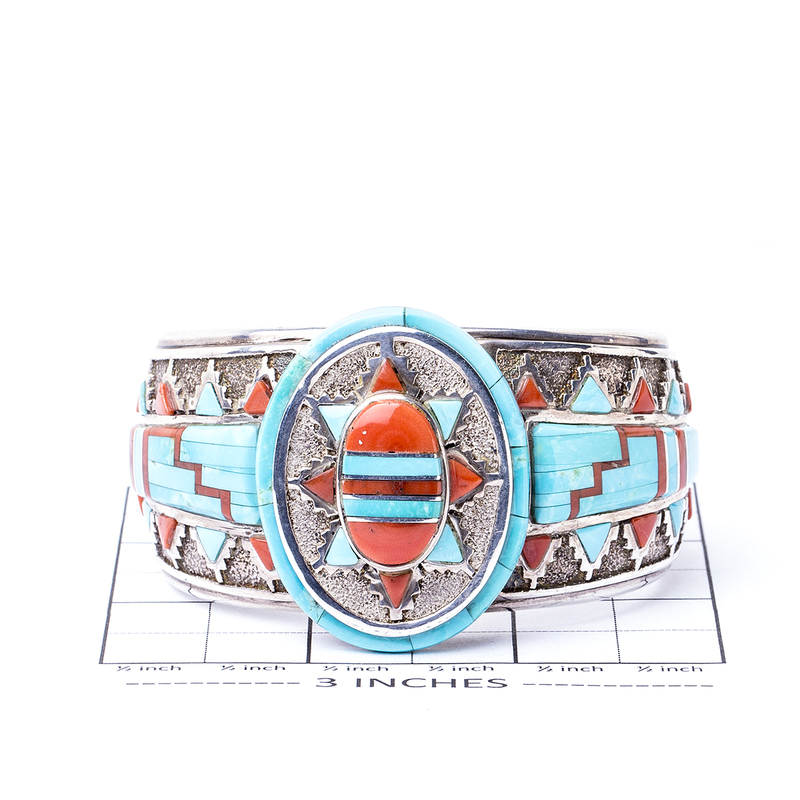 Handmade by Navajo silversmith Abraham Begay, this turquoise and red coral cuff bracelet measures 5 3/8″ in length with a 1 1/4″ gap and is 1 3/4″ wide at the front. It can be sized slightly. 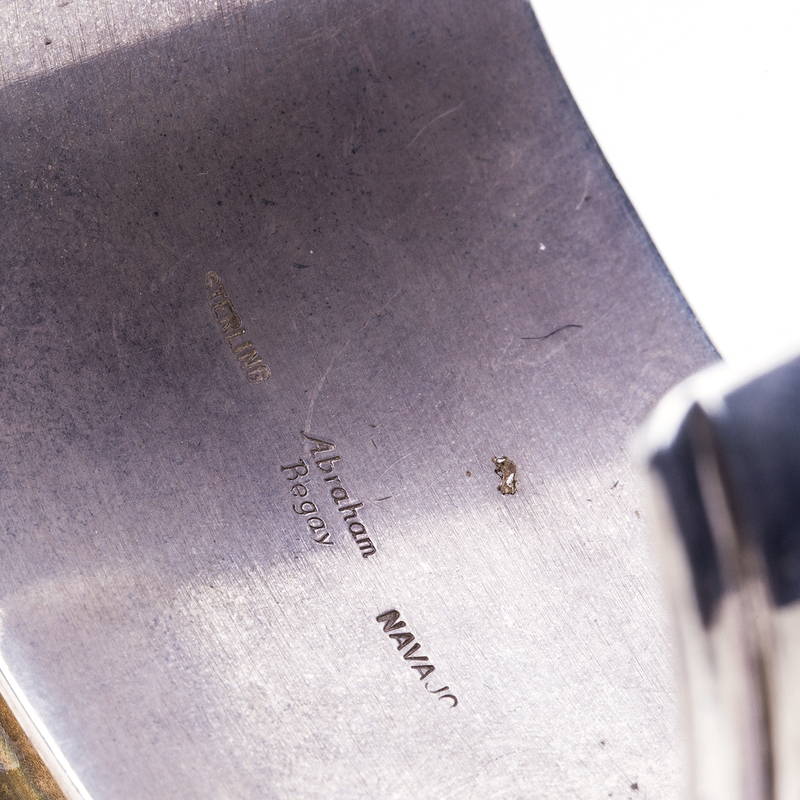 It is hallmarked “Abraham Begay”, “Navajo” and “Sterling”, and weighs 115.5 grams. We are delighted to offer our complimentary gift wrapping service – just ask! 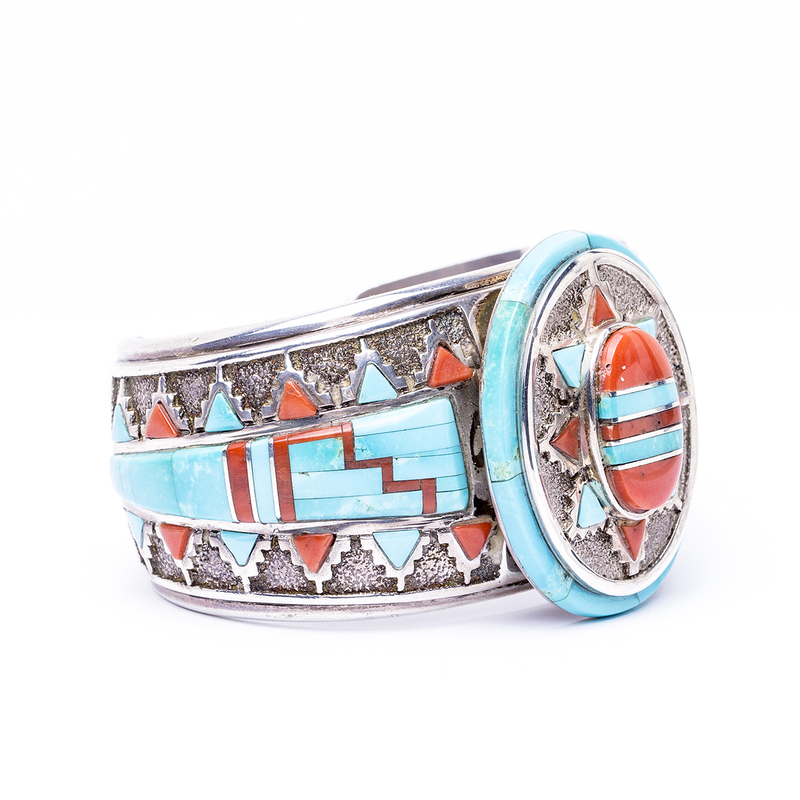 Navajo A Begay Turquoise Cuff Bracelet is a vibrant exhibition of bright sky blue Turquoise and fiery red Coral surrounded by shining Sterling Silver!